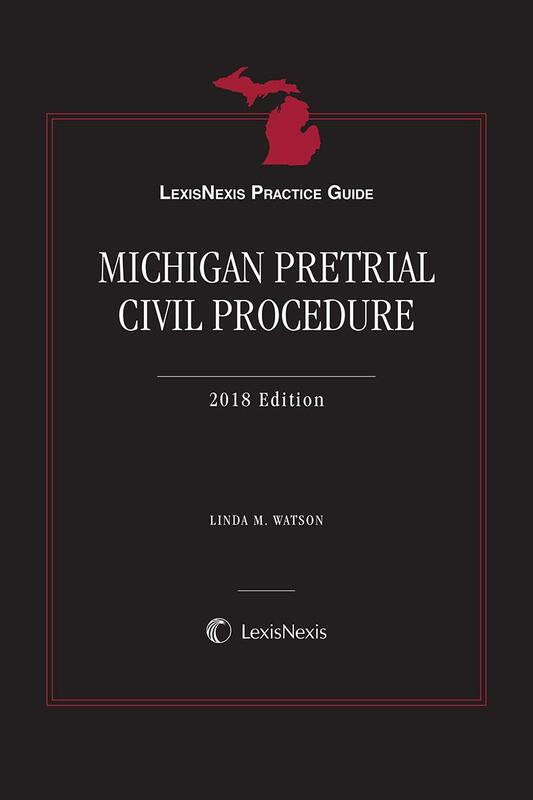 LexisNexis® Practice Guide: Michigan Pretrial Civil Procedure is a new quick-answer guide providing civil litigation guidance, forms, and checklists by and for Michigan state-court litigators. 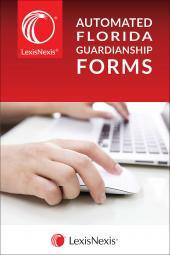 LexisNexis® Practice Guide: Michigan Pretrial Civil Procedure is a new addition to the practice guide line for Michigan attorneys. 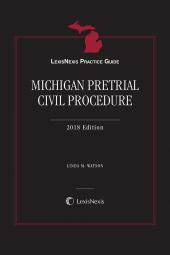 This new publication covers pretrial civil procedure in Michigan circuit courts from pretrial planning up through summary judgment and preparing for trial. Each chapter contains background analysis, forms, and practice tips and pointers for Michigan practitioners. The publication, which incorporates Michigan statutes, rules, cases, and forms as appropriate, was created under the close guidance of Editorial Consultant Linda M. Watson, a highly skilled litigator and business advisor at Clark Hill, PLC in Birmingham, Michigan. This publication complements the existing LexisNexis line of Michigan products, including LexisNexis® Practice Guide: Michigan Estate Planning, LexisNexis® Practice Guide: Michigan Real Estate Litigation, Michigan Civil Procedure Litigation Manual, Michigan Evidence Courtroom Manual, Michigan Civil Jurisprudence, and Michigan Law and Practice. 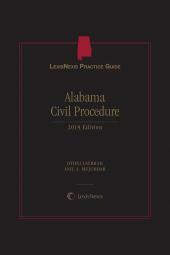 The publication provides detailed real-world practical guidance on civil litigation timetables, forms, rules, and procedures for Michigan circuit court practice. 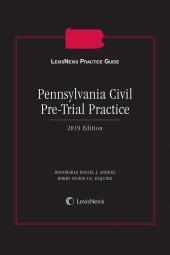 The publication is intended as a primer and guide for new and less-experienced litigators and trial lawyers, and a handy refresher and reference work for experienced trial lawyers working out of their normal practice, or simply to verify deadlines, procedures, and use of forms. Linda M. Watson is a highly skilled litigator and business advisor at Clark Hill, PLC. She has been named a Michigan Super Lawyer in business litigation and listed as one of the Top 25 Women Business Attorneys in Michigan, among other top honors and awards. Linda has successfully litigated complex business and commercial disputes, representing small to large privately-held business entities, as well as public corporations both at the trial and appellate levels of federal and state courts. In addition, she has been retained in numerous matters to serve as a mediator, arbitrator and discovery master. Linda also acts as corporate counsel for mid-sized and smaller companies, providing advice and counseling on both business and legal matters. She was elected in 2015 to serve a three-year term as a member of the firm's Executive Committees, the governing body of the firm, and she concurrently serves as Co-chair of the Automotive & Manufacturing Practice Group. Linda lectures and holds workshops and seminars on a national basis for In-House Counsel, offering them best practice guidelines, legal updates and law department management tips. She has authored numerous articles related to business disputes and trial practice. Linda is a graduate of the National Institute for Trial Advocacy, one of the leading institutions for intensive professional training in the art and skills of trial advocacy. In a time when it is difficult to find a litigator with actual court room experience, Linda has successfully tried numerous cases to verdict.